The Walking Dead premiered season six on AMC on Sunday night, but there is already talk about season seven on the net. AMC has not yet officially announced a season seven renewal for the zombie, but it is likely – especially with the hype already starting over the next villain. According to TV Line, Negan is set to appear on the season six finale, and the character will play a major role on season seven of The Walking Dead. Scott Gimple did not confirm the arrival of Negan, but in the comics his arrival would be timed around now. Robert Kirkman, that man behind the comics and creator of the series, has always had big hopes for the series. In previous interviews, he has said that fans could see fifteen seasons of the popular zombie series. Could the fans and cast handle fifteen seasons? The season six premiere did drop a bit in the ratings from last season, but it still beat out its competition in the time slot. Fans are still willing to watch, and they have expressed their desire for Negan’s arrival. What did you think of The Walking Dead season 6 premiere? Tell us what you think. 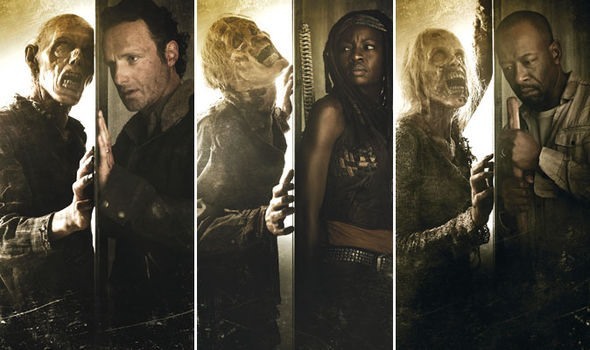 More about: The Walking Dead, The Walking Dead: canceled or renewed? The Walking Dead: Who Was Almost Cast as Negan? Love it. Day time Soaps run for over 20 years…This show could run for ever. Please renew. If possible please stop talking about the comic books in detail. I’ve not read them and would rather not hear that Glenn, etc. are leaving – that is until they move on the next planet. Thank you. The word “professional” has never entered my brain when watching, thinking or talking about The Walking Dead. Walk a mile in their shoes. Being under 50 is not a Senior! Senior starts at 55 at the earliest! hey jude im 55 but its ok to day dream.?? I’m also a senior who loves this show… not that my opinion counts since I’m under 50! And in next weeks brief, can you tell those of us who never read comic books, who Negan is? Thanks! One thing I do want to say is that Greg needs to cut that hair… he’s beginning to look like a transient. Not very professional …. at all! Is it hard to figure out that we should be talking like season 10 renewal? This show is so good that it has so much more material to draw on for a long time to come. It is the best show on tv. Period. ps your math is way off.? 67 episodes to date.? 16 episodes per season. only 3 seasons,. with 16 episodes. thats 67. if they stick to 16 we got till the end of 8 season to see negan. so grow up. if you new something about the comics you would know that.? its worth the wait. plenty bad guys before NEGAN. sit & chill. This will probably generate some hate, but I was a bit disappointed in the season opener. The convoluted and high-energy-required to direct the ‘herd’ away from the town was not very believable, did this follow the comic books? And the question was unanswered: who parked the trucks to barricade the zombies in? must have been the soldiers last ditch effort. hope they give us a flashback on how it happen ???????????????? ?